If you were lucky enough to grow a successful herb garden this summer, you are probably wondering what to do with all of your basil, oregano and thyme plants before they go bad. A simple solution to this problem is to dehydrate your herbs and turn them into your own homemade spices. Homemade spices are awesome because they taste better and last longer than the store bought variety. If you dehydrate your own spices, you will find the homemade spices much more potent than the store bought. Dehydrating your own spices may sound difficult or boring but is actually quite easy and can be a fun family event. The only thing you need to dehydrate your own spices is a simple dehydrator that can be purchased from any store. The next thing you will need is the spices and you are good to go. Basil, thyme, oregano, mint... they all are easy to dehydrate on your own. The first step in dehydrating your own spices is harvesting them. Go to your plants and bring back as many leaves as you want to dehydrate. I like to pick two or three leaves from every clump making sure to leave some for fresh spices down the road. The second step is to wash off the dirt and then dry the leaves with a paper towel. Once this is complete, place the leaves on the trays making sure that the leaves aren't touching. If the leaves are too close, the dehydrating process will take much longer. Once the leaves are in place, turn on the dehydrator and let it do its work. 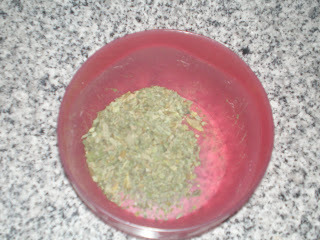 I let my herbs dehydrate for about 16 hours turning them over once during the process. The examples I have provided is one of my batches of dehydrated basil. 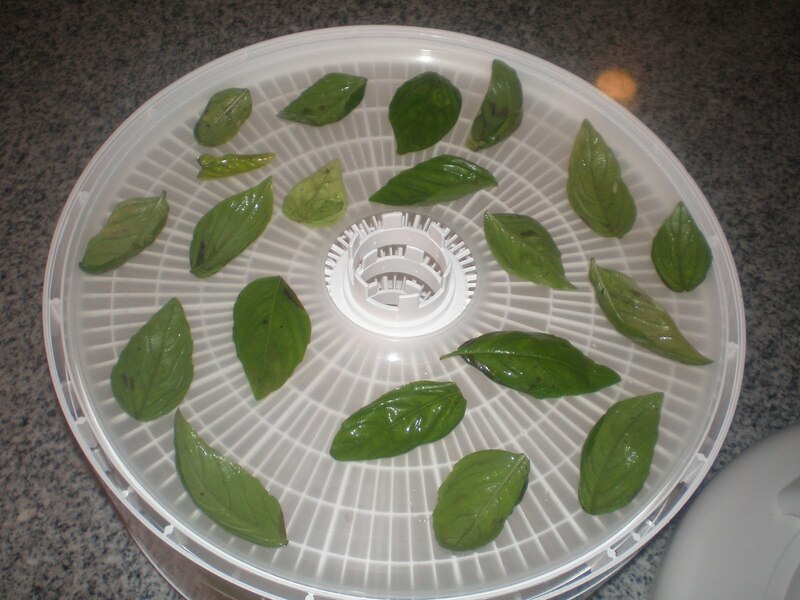 After dehydrating the herbs for 16 hours, take off the lid and inspect all of the leaves to make sure they are dry. Some of the bigger leaves may take longer but most of the leaves should be done. 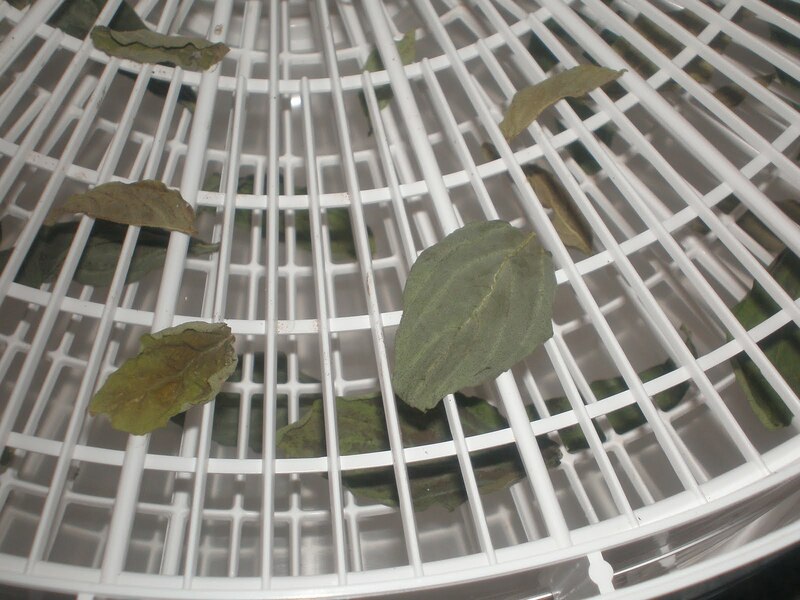 You can dehydrate the bigger leaves longer or set them aside and use them on their own. It is very important to make sure that all of the pieces are dehydrated 100 percent or you will risk contaminating the whole bunch. The pieces that still need more time will get moldy if stored in an air-tight container. The mold will then spread in the container ruining your hard work. After sorting the dried leaves out, the next step is to put all of the dried pieces in a bowl to mash them together. I will use a spoon to crush up the pieces until they look like the store bought variety. 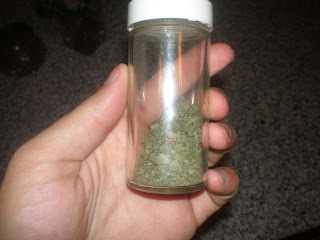 Once you have the spices looking the way that you want, pour them in a air-tight container and you are done. If you find yourself this summer with excess basil, oregano, or thyme, try dehydrating it. You will be glad you did. A good tip to keep the freshness better is to use a food processer. I know it sounds crazy, but if you mash it, the essential oils in the herbs will be kept in the leaves, instead of on the tool you used to crush them with. 2-4 pulses usually does them great. 5-6 if you want them fine. Great tip MIgardener. Thanks for the post. Drying your own herbs is the best. It's economical, is the freshest, and making your own spice rubs is a great present for family and friends.